Koningsdag or King’s Day is a national holiday in the Kingdom of the Netherlands. 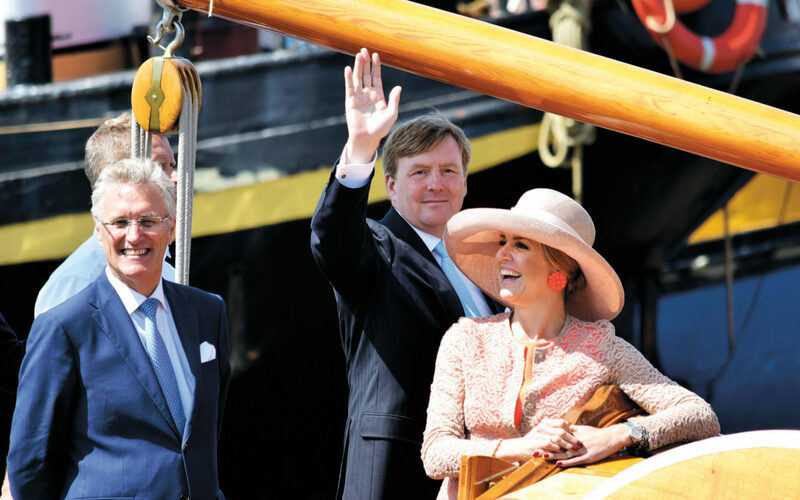 Celebrated on 27 April (26 April if the 27th is a Sunday), the date marks the birth of King Willem-Alexander. Until the abdication of Queen Beatrix in 2013, the holiday was known as Koninginnedag or Queen’s Day and was celebrated on 30 April. The holiday was initially observed on 31 August 1885 as Prinsessedag or Princess’s Day, the fifth birthday of Princess Wilhelmina, then heir presumptive to the Dutch throne. On her accession in November 1890 the holiday acquired the name Koninginnedag, first celebrated on 31 August 1891. In September 1948, Wilhelmina’s daughter Juliana ascended to the throne and the holiday was moved to her birthday, 30 April. The holiday was celebrated on this date from 1949. Juliana’s daughter, Beatrix, retained the celebration on 30 April after she ascended the throne in 1980, though her birthday was on 31 January. Beatrix altered her mother’s custom of receiving a floral parade at Soestdijk Palace, instead choosing to visit different Dutch towns each year and join in the festivities with her children. In 2009, the Queen was celebrating Queen’s Day in the city of Apeldoorn when a man attempted to attack her by trying to ram the Royal family’s bus with his car; instead he drove into a crowd of people and crashed into a monument: seven people in the crowd were killed, as was the driver. Queen Beatrix abdicated on Koninginnedag 2013, and her son, Willem-Alexander, ascended the throne (the first king since the observance of the national holiday). As a result, the holiday became known as Koningsdag from 2014 on, and the celebration was shifted three days back to 27 April, the King’s birthday.